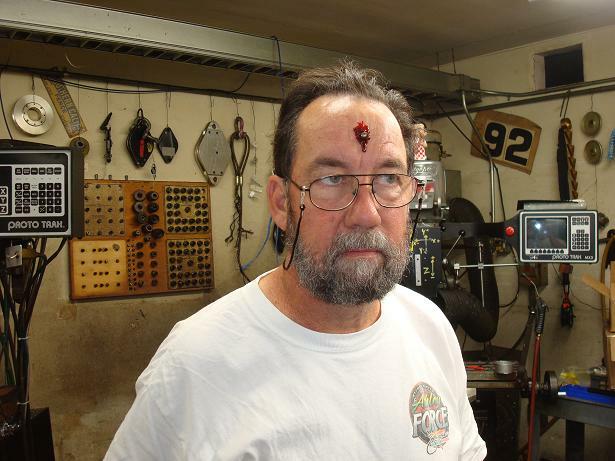 This Blood Capsule Gun was developed to launch fragile wax capsules at close range to simulate bullet hits on actors or stunt performers for motion picture or television use. 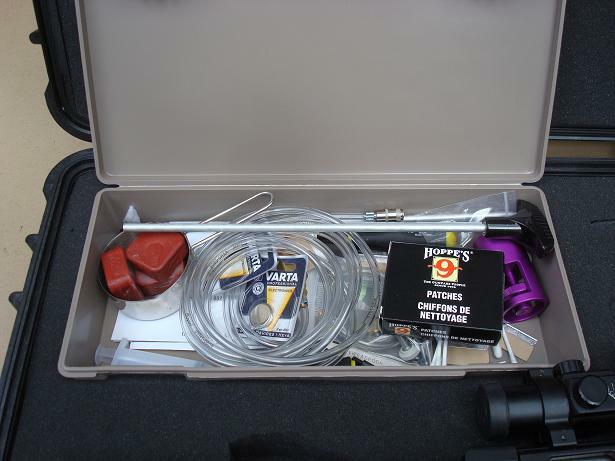 This handsome gun comes with Electronic Red Dot Sight, a full-sized Pelican Case, special mold, our custom formula wax, stainless steel melting pan and ladle, cleaning rod kit, spare screws and o-rings, an air hose with quick-disconnect, Reel Blood, vegatible oil mold release, Q-tips, and razor blades for capsule trimming. All you need to supply is an air supply and a hot plate to melt the wax. With practice, you can take your first shot 15 minutes after you start melting the wax. The impact on a person is relatively light, about the force of a finger flick. However, NEVER take any chance of hitting anyone in the eye, as this could cause pain or injury. 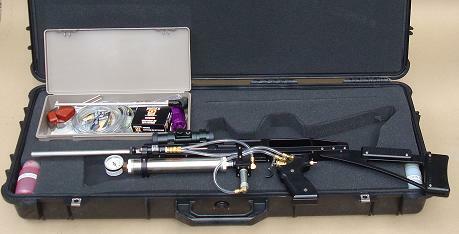 The Blood Capsule Gun is available in several colors. We always stock basic motion picture black. Other colors are available on special order or if we have that color in stock. The theory is that colors other than black are non-threatening to actors and officials. 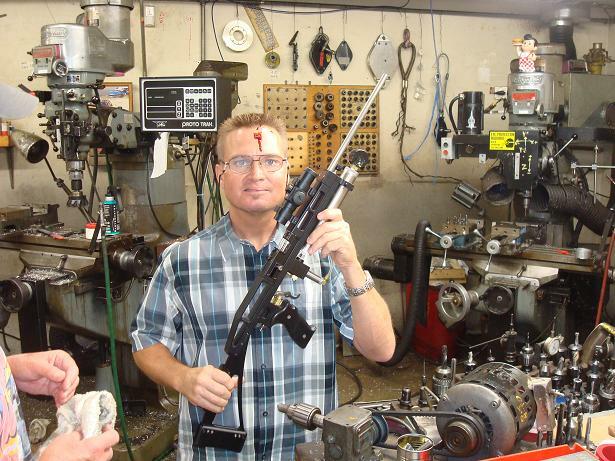 I must have taken 30 forehead hits since we started development on this gun. Noted Special Effects Tech Eric Cook gave it a try. 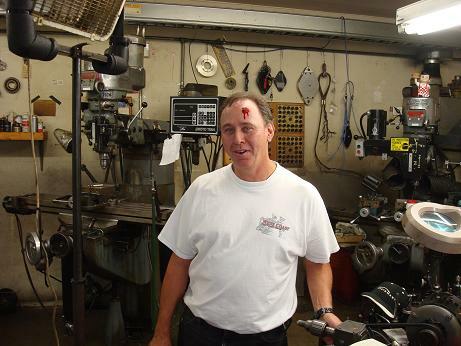 Our Friend, 3rd Generation Stunt Player Richard Epper took a hit back in August "09. 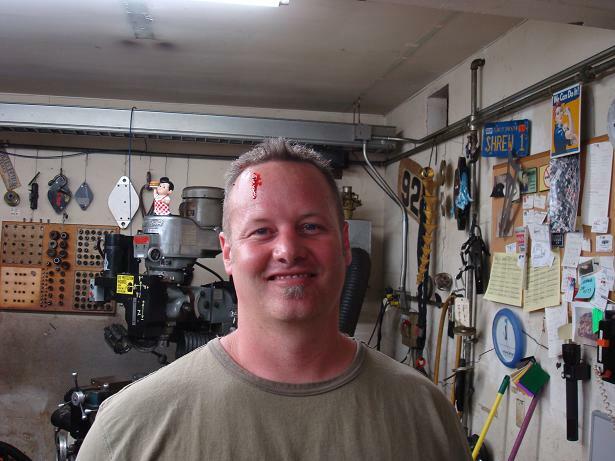 Tom Frazier came in to rent some stuff while he was coordinating "Priest" and we shot him in the head. 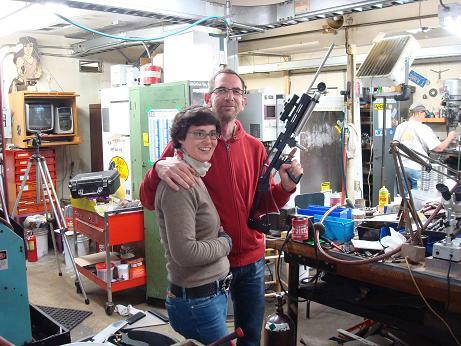 Andreas Korth and Judith Mann; Special Effects People from Germany with our gun. 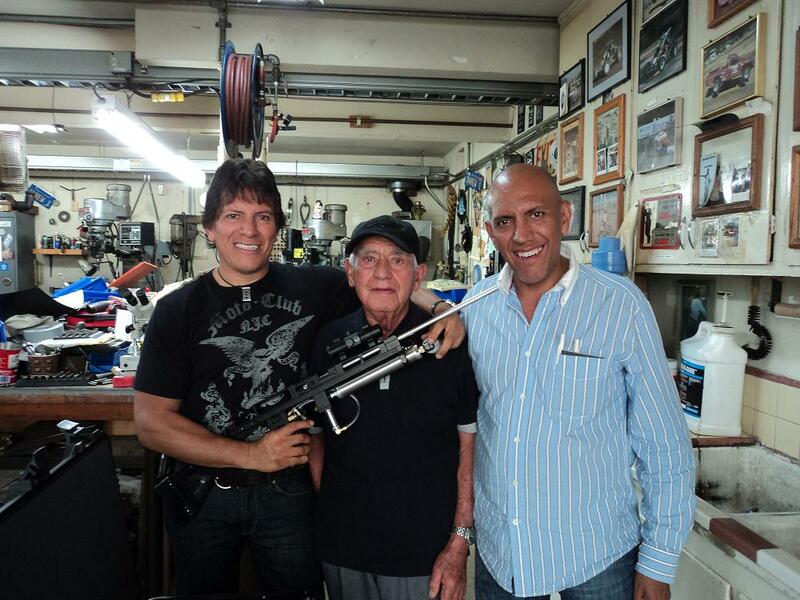 Alesandro Vazquez, his father, and brother Alberto Vazquez with a blood capsule gun. These third generation Special Effects supervisors work out of Mexico City. We all had a great time shooting each other with blood capsules.